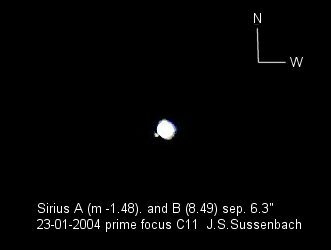 Sirius A en B, 10,000 fold difference in luminosity! 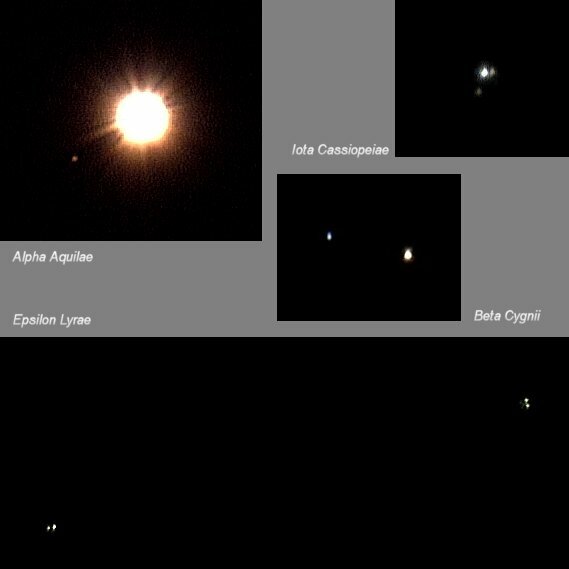 Zeta Bootis; Separation 0.7",mag 4.5 - 4.5; a 2x Barlow lens (Televue) was used. 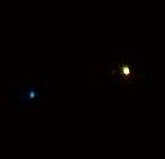 Beta Delphini; Separation 0.6", mag 4-5; with C11 plus 2x Barlow. 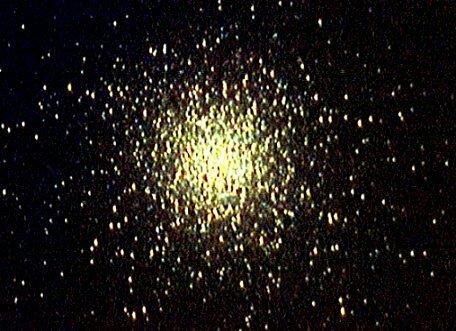 M13 taken with a C5 telescope plus a Philips ToUcam modified according to the procedure of Steve Chambers to use long exposure times. 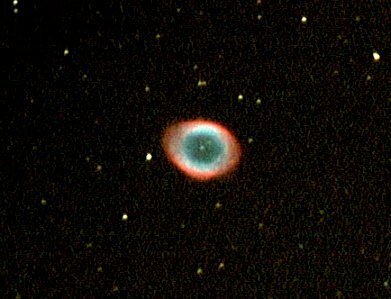 The picture is the result of stacking 30 pictures of 30 sec and correcting for dark frame using K3CCDTools. Further processing with Paint Shop pro. 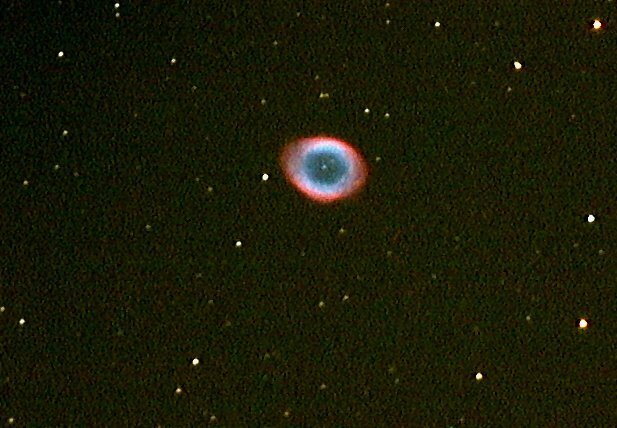 M27 taken with a C5 telescope plus a Philips ToUcam modified according to the procedure of Steve Chambers to use long exposure times. 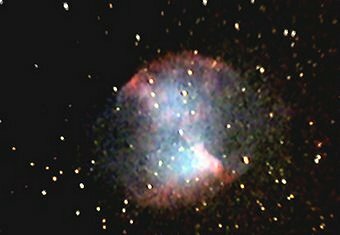 The picture is the result of stacking 30 pictures of 30 sec and correcting for dark frame using K3CCDTools. Further processing with Paint Shop pro. 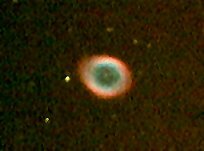 NGC 2392 (Eskimo Nebula) taken with a C11 telescope plus 0,6 x focal reducer and a Philips ToUcam modified according to the procedure of Steve Chambers to use long exposure times. 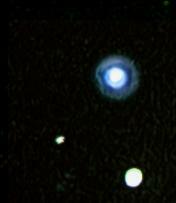 The picture is the result of stacking 30 pictures of 15 sec and correcting for dark frame using K3CCDTools. 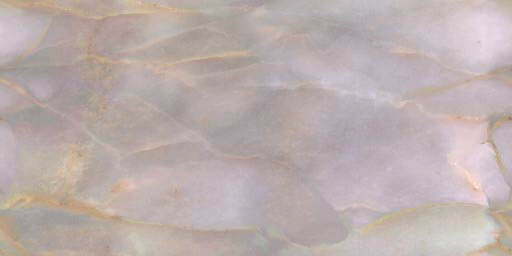 Further processing with Paint Shop pro.